A musubi is a Japanese streetfood snack that you need to know about. Musubis are made from pressed sushi rice with a variety of savoury fillings, wrapped in crisp nori seaweed. 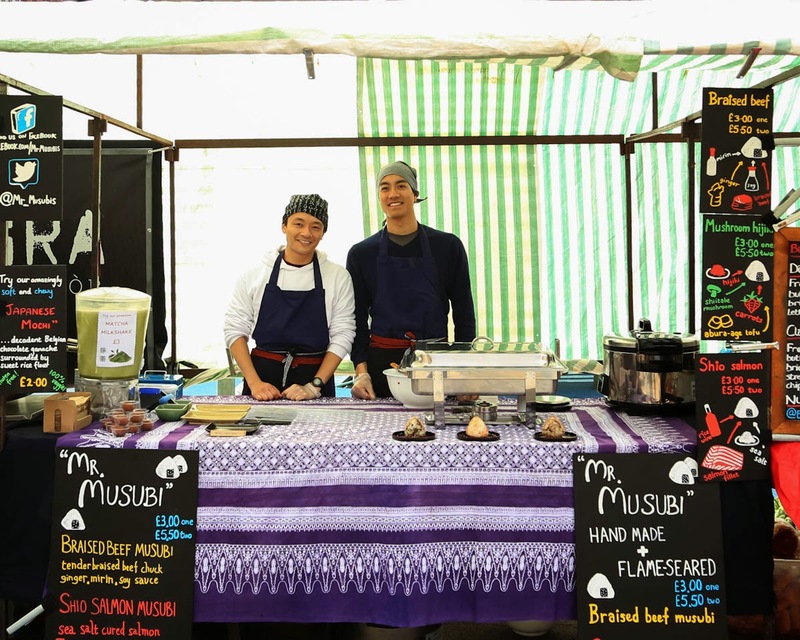 Mr Musubi is a streetfood stall that sells these in Broadway Market, and from 3rd of July they'll be popping up at the Off Broadway Bar on Broadway Market for four weeks, Thursday - Monday. Go taste these delicious sounding snacks! 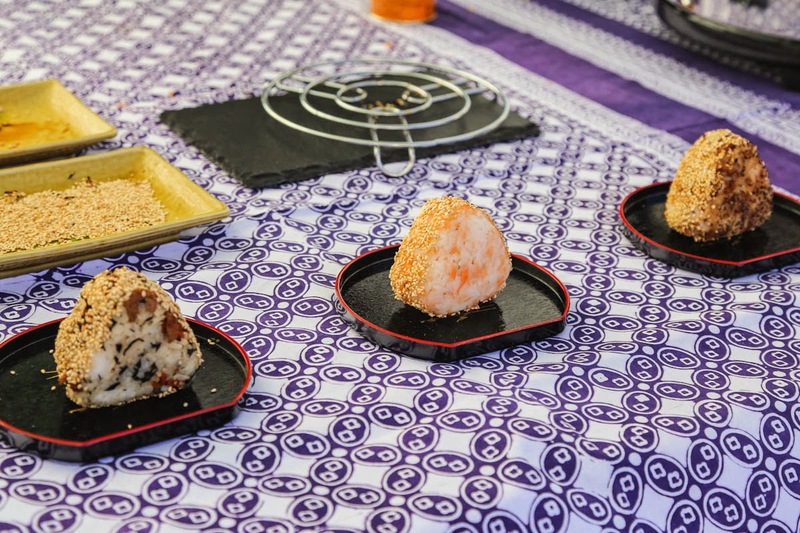 "Mr Musubi launches in London, bringing ‘musubi’ - Japan’s most famous street snack - to the UK. Universally loved in its homeland, musubi are traditional Japanese snacks made from pressed sushi-grade rice and delicious savory fillings, wrapped in crisp nori seaweed. This charming and healthy dish has been an integral part of the Japanese gastronomic landscape for over 2,000 years. Mike Tsang and Tet Ogino are two friends who have taken their family recipes and adapted them to make the tastes unique yet familiar to the Western palette. Each musubi is lovingly hand-made using quality ingredients, creating gourmet flavours such as slow-braised ginger beef and three day salt cured salmon. Mr Musubi trades every Saturday at Broadway Market, serving ice cream mochi (sweet rice desserts filled with gelato ice cream) alongside their musubi. From the 3rd to 28th July, Mr Musubi will also be running a pop-up restaurant at Off Broadway cocktail bar. During this limited time only, guests will have the opportunity to enjoy their musubi with popular Japanese side dishes such as edamame beans, Kyoto-style sweet egg omlette (tamagoyaki). Mike and Tet will also be creating Japanese cocktails designed to complement musubi for a new and exciting dining experience."